Join us in Normandy where D-Day beaches meet 1000-year-old Chateaux and rides skirt the coast to visit some of France’s most important historical sites. 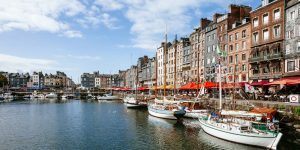 Enjoy a morning visit to Honfleur, a quaint fishing village renowned for its unique architecture and easy pace of life and a private cider tasting accompanied by a bountiful Trek Travel picnic. Each afternoon, lounge on the beaches of Deauville and watch the sunset as you walk along the boardwalk. 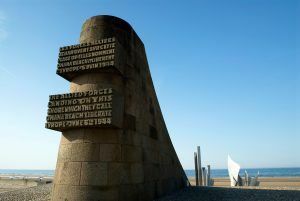 Ride to historical World War II sites—Pont d’Hoc, Juno and Omaha beach—and learn firsthand the strategy of the D-Day invasion. The beauty and drama of the region will only become more enchanting as your trip unfolds. This trip has it all! Gorgeous and comfortable hotels, delicious food, time spent with locals, history, and fun riding in beautiful landscapes. 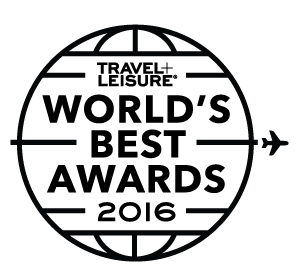 Normandy is fantastic for first time visitors to France and seasoned travelers alike. Your Trek Travel guides will meet you at the Hotel Normandy Barrière Deauville at 10:30 AM on the first day of the trip. After a 40 minute private shuttle, you’ll arrive in Beuvron-en-Auge, a village that is consistently acclaimed as the cutest village in France. 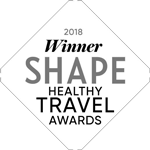 After a short round of introductions, your guides will familiarize you with your Trek bicycle and ensure a comfortable fit before we enjoy the first of many delicious meals together at a small local bistro. 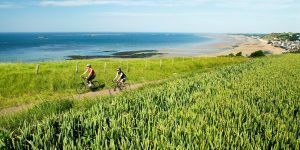 Your guides will discuss the rules of bike safety and specific cycling tips for riding in Normandy before we embark on the first meandering ride through this beautiful and intriguing region. You’ll ride to Deauville, a city known as the “City of Horses” for its passion and pastime of horse racing. Deauville is well-known as a luxurious getaway with elegant hotels, restaurants and relaxing seaside cafés. It is also the gateway to Calvados, a region famed for producing an apple brandy praised all over France. This evening we'll gather for an apéritif while you and your guides discuss the adventures that await you. 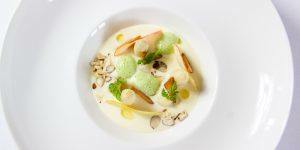 We'll then share a delicious meal together at La Belle Epoque, an elegant restaurant serving Normandy specialties. Wake up to freshly-baked pastries and a creamy café au lait that's so typically French. Today you’ll cycle past timber-framed homes, through fields and forests on your way to the village of Honfleur. This seaside port town is appreciated for its changing light that provides just the right amount of romance you'd expect from a charming French town. Renowned painters and photographers such as Eugène Boudin and Claude Monet have sought to capture this ever-changing light on their still canvas. This afternoon, we'll enjoy a bistro lunch together then you'll have the chance to continue to explore this stunning town as you shop for antiques, or return to Deauville, either by bike or shuttle, for a relaxing afternoon at the beach or a round of golf (not included in trip price, please request with your trip consultant upon booking so the guides can assist with arranging a tee time). For those who wish to ride further, enjoy a rolling adventure through the countryside in an area known for its cheese. Stroll along the famous boardwalk known as "les planches", enjoy the luxury shopping amid beautiful 19th-century manor homes, or opt to simply relax at your remarkable hotel. Tonight you are free to explore the various dining options found in Deauville. Today the group will wind their way west toward the village of Port-en-Bessin, stopping along the way to admire the beautiful views. The flexible timing of the day gives you the opportunity to stop and explore in the manner you prefer. We'll stop in Courseulles-sur-Mer and share a lunch of local specialties. This afternoon, plunge into the heart of history at the Arromanches 360 Circular cinema. Located on the Arromanches clifftops, the theatre dominates the remnants of one of the two artificial Mulberry harbours set up by the Allies. From here, you can continue riding, or shuttle to our home for the next 3 nights, the elegant Château La Chenevière. Take some time to acquaint yourself with the hotel’s exceptional gardens and tastefully decorated interiors. This evening we'll gather for succulent gastronomic cuisine at the restaurant Le Botanist. Today will be among the most memorable history lessons of your life, as we meander along the coast focusing on the American war sights. Start your morning in awe of the courageous sacrifice made by young Americans and visit the rows upon rows of white crosses at the American war cemetery. You'll learn about the tragic events that took place at Omaha Beach, where more than 3,000 men were killed in a matter of hours. Through the stories and commentary told by our private guide, you’ll learn first-hand about the amazing history of this important site. 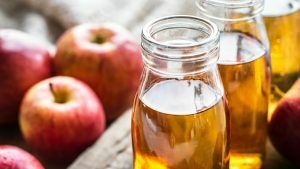 This morning will close with a visit to the home of the LeBrec’s, where you’ll try some of their family apple cider and enjoy a Trek Travel picnic. Although now well-known for their tasty beverages, this estate home was occupied by over 300 Germans during the Second World War. After D-Day, it was the home to hundreds of American soldiers. Post-lunch, you’ll make your way to Le Pont d’Hoc, where large craters formed by the bombs during World War II and old bunkers are left intact. You will also visit the German Cemetery, which provides a dramatic visual contrast to the American Cemetery. Afterwards enjoy a scenic and rolling ride through the countryside or decide to shuttle back to the hotel. This evening, with a view of the garden as your backdrop we'll gather for drinks before enjoying a quintessentially French meal together. We'll visit the home of the LeBrec’s, where you’ll try some of their family apple cider and enjoy a Trek Travel picnic. Although now well-known for their tasty beverages, this estate home was occupied by over 300 Germans during the Second World War. After D-day, it was the home to hundreds of American soldiers. This family is a living testament to the brave actions of these veterans. 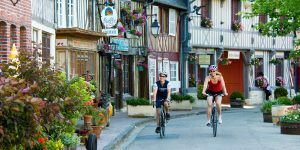 You’ll head out for a loop ride from the hotel today, through the Normandy countryside—a great introduction to the character and traditions that have been passed down for generations.The ride will lead you past small châteaux, abbeys and churches. We'll stop in the town of Bayeux, where you can see the famous tapestry depicting the Conquest of England by William the Conqueror. 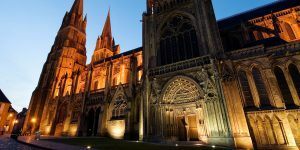 The tapestry was commissioned at the time of the construction of the Bayeux Cathedral in 1070. An important historical relic, the tapestry is more than 230 feet long and tells an important part of this historical conquest of England by the French. You'll then take some time to explore this town as you have lunch on your own. On our afternoon ride, we'll stop at a family farm to learn about the ice cream production process and to taste some ice-cream. Ride or shuttle back to the hotel and relax before we reconvene for a toast to this week's adventure and a meal to celebrate newfound friends. This morning enjoy a leisurely breakfast or enjoy an early morning ride. Your Trek Travel guides have arranged transportation to the Caen train station in time to catch a late morning train to Paris. You’ll say farewell to your guides at 10:00 AM at Château la Chenevière. Please do not schedule a train out of Caen before 11:30 AM on the last day of the trip to allow plenty of time for any unforeseen delays. The Normandy Barrière in Deauville has always been the destination for weekends, family holidays and unforgettable, romantic getaways. Whether you see it from the sea or the town, the Normandy Barrière is an enchanting Anglo-Norman manor. This magnificent dwelling is a tribute to the region’s architecture and represents this extravagantly luxurious Belle Époque resort perfectly. Château La Chenevière is an 18th century château situated between Omaha Beach, where the American forces landed on D-Day in 1944, and the historic town of Bayeux, famous for its tapestry depicting the Conquest of England by William the Conqueror in 1066. There are only twenty-nine rooms, each with a garden view and all individually decorated in a harmony of floral designs. The luxurious facilities will appeal to the most fastidious traveler. The dining room with its picture windows overlooking the park has a certain grandeur, but on an intimate scale. The cuisine is classic with all the distinctive flavors of Normandy and can be accompanied by any of the fine wines found in their impressive cellar. On your Normandy trip, you will enjoy riding on secondary roads with occasional hills. Normandy is best suited for our Type 2 Riders. Our Trek Travel guides can also easily accommodate Type 1 Riders, who seek less mileage or fewer uphills, with a boost in the van. Those who wish to ride every mile but are concerned about their physical ability may want to try our electric bike option–you still get a workout but can climb alongside even the strongest rider. Type 3+ Riders will enjoy the extra mileage the avid route options offer. We suggest that you arrive at least one day prior to the trip start, which will enable you to adjust to the time zone and minimize the risk of missing the trip start due to flight-related delays. We recommend that you fly into Paris (CDG). From the Paris St. Lazare Station, you may take a train, for approximately 30€, to the Trouville-Deauville station. 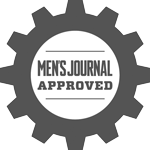 It is recommended that you arrive one day early to make the 10:30 AM meeting time with your Trek Travel guides. Train schedules can be consulted and tickets can be booked directly online at www.voyages- sncf.com. From the train station, it is a 5 minute taxi ride to the first hotel. Your Trek Travel guides will meet you at the Hotel Normandy Barriere Deauville (38 Rue Jean Mermoz, 14804 Deauville) at 10:30 AM on the first day of the trip. If you have just checked in to the hotel, you can leave your luggage there, but please have your riding gear with you in a separate bag. 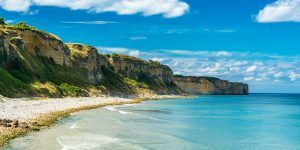 After a quick round of introductions, you and your new-found friends will board your private coach to one of Normandy’s quaint inland villages. After a professional bike fitting and peaceful lunch, you’ll journey along quiet roads for your first ride of the week. If you will be late for the pick-up or are going to miss it altogether, please inform your guides. You will receive an email a week before the trip start with their names and contact details. If you cannot reach them, please call our first hotel, Hotel Normandy Barriere Deauville (+33 2 31 98 66 22 ), and leave a message with your expected arrival time and contact details. 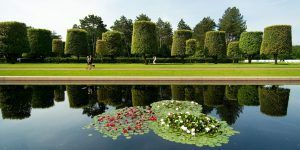 You will say farewell to your guides at 10:00 AM at the Château Chenevière, then take a private shuttle to the Caen Train Station arriving at approximately 10:45 AM. Please allow adequate time for ongoing travel connections and do not schedule a train before 11:30 AM. 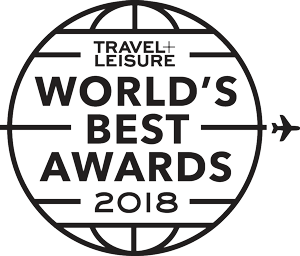 Located right on the main luxury shopping street and within walking distance to the Louvre, Opera, and the Tuileries, this 4 star hotel is a perfect spot to see the City of Lights. You can also enjoy a lunch or coffee at elegant on-site Café 221. Special rates for Trek Travel guests may apply – ask your trip consultant for more information. This large hotel is located across from the marina in the town of Caen. The rooms are tastefully decorated adorning modern amenities. The hotel has 114 rooms and the rates vary between 80–150€. Ideally located in the centre of Caen, the hotel overlooks the historical Place de la République. Each room tells a different part of Caen’s history and brings together simplicity, comfort and modern facilities. Relax in the lounge bar or discover the hotel’s themed library, entirely dedicated to the city of CAEN and to the Calvados and Normandy region. Located in the heart of this historic city lies the hotel Le Dauphin. 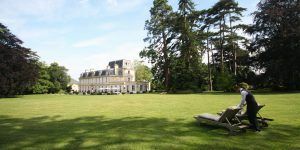 With its charm, quiet rooms and wonderful restaurant, this is a great place to stay if you choose to spend some time in Caen. The hotel has 37 rooms and rates start at approximately 100€ per night.